We still have three months until the much anticipated release for the Harry Potter spinoff, Fantastic Beasts and Where to Find Them is released, but Warner Brothers has already confirmed two more Fantastic Beasts films! So far we know that Eddie Redmayne is slated to return as Newt Scarmander in the second film, which is slated for release in 2018. The third and final film is set for release in 2020. David Yates will also return as the Director for the second film in the series. Previous to the Fantastic Beasts series, Yates also Directed the last four Harry Potter films. We can't wait to see the Harry Potter universe expand more! Fantastic Beasts and Where to Find Them hits theaters November 18th. 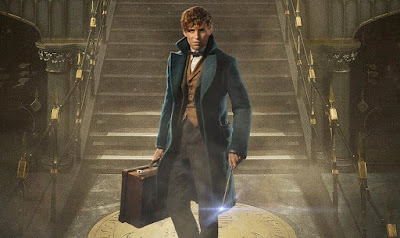 Wow What a Nice photo Yaa we know that Eddie Redmayne is slated to return as Newt Scarmander in the second film.